Which is Better? The 2019 INFINITI Q50 or 2019 Nissan Maxima? It takes a lot of analyzing to determine what type of midsize luxury sports vehicle to put in your driveway. People buy these types of vehicles all the time for various reasons such as enjoying a pure luxury vehicle. Some folks, however, buy these vehicles for the rush of the performance. Find out how the 2019 INFINITI Q50 and 2019 Nissan Maxima compare. FWD has benefits, but can also work against a physical terrain soaked in adverse weather conditions. If you were to take a trip around the country and your car has to deal with the crazy weather patterns in other states; FWD will not perform to the maximum. Keep in mind that the Maxima has FWD, but the Q50 has AWD. All Wheel Drive has better wheel reach and performance. The Q50 also has a Twin Turbo Unleaded V6 engine vs the Maxima with an Unleaded V6 engine. The Twin Turbo obviously has more power than the regular Unleaded engine, which makes a huge difference in terms of performance. The Q50 also offers three different engine choices: the 2.0-liter I4 that produces 208 horsepower, the 3.0-liter V6 that produces 300 horsepower, and the 3.0-liter V6 engine with two turbo speed sensors that pumps out 400 horsepower. With the Maxima, your only choice is the 300 horsepower 3.5-liter V6 engine. The 2019 Maxima has a nice set of LED lights, but the Q50 has the fog lamps for this year. Also, the Q50 has automatic rain sensing windshield wipers that turn on once the water starts hitting the car, but the Maxima lacks this unique luxury. Moreover, the Q50 has a remote trunk release that does not require any physical touching to open, but you would need to go around to the rear and manually do it with the Maxima. Some people would love to sit back in their heated car seat and bask in a cabin laced with woodgrain. Yes, the Maxima has premium leather seats, but the Q50 has a nice woodgrain touch. Some people prefer getting full luxury and willing to pay a premium price for what they want. Even though there are many entertainment features in the Maxima, this vehicle lacks the basic HD radio which is present in the Q50. Drivers know the importance of being able to tune in their favorite radio podcast broadcasting with clear HD audio. You can stop by Roswell INFINITI of North Atlanta to take a test drive of the Q50. This will give you the opportunity to compare it to the Maxima. That way you can get an accurate evaluation of the differences. All figures are EPA estimates. Actual mileage may vary. 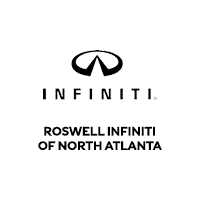 Roswell INFINITI of North Atlanta	34.0587846, -84.3250937.